71% less fat 69% less sat fat 50% more fiber than the original recipe. This healthified soup is loaded with taste. The fat is drastically reduced while fiber is increased by going green with broccoli! In a 5-quart dutch oven, place potatoes; add just enough water to cover. Heat to boiling. Reduce heat, cover and simmer 10 to 15 minutes or until potatoes are very tender. Drain. Return potatoes to saucepan, mashing some as you go. Stir in broth, salt and pepper. Heat to boiling. Add broccoli. Return to boiling; cook uncovered 5 minutes, stirring occasionally. Reduce heat to medium. In a small bowl, whisk flour into milk until well mixed. Add flour mixture to potato mixture, stirring constantly. Cook over medium heat, stirring frequently, until mixture thickens and boils. Stir in cheese until melted and smooth. 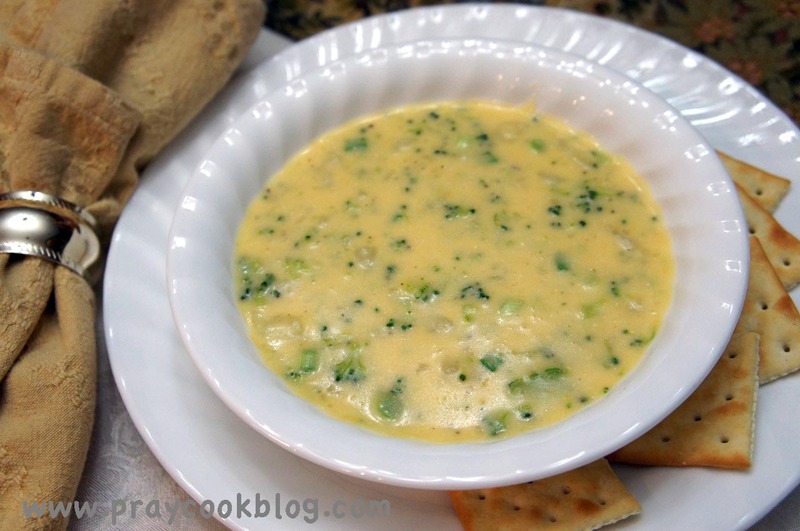 Stir in sour cream and green onions; cook until thoroughly heated. To serve, ladle hot soup into bowls. Healthified? Some ingredients are replaced with great-tasting alternatives to create better-for-you recipes that are just as tasty and yummy as the originals.